Don’t miss your chance to learn about the rich jazz heritage of Kansas City and the incredible influence Charlie “Yardbird” Parker has had on it! 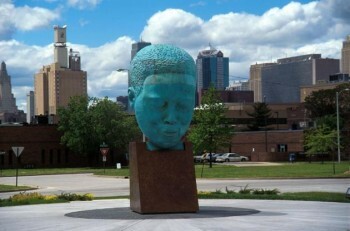 Did you know that Kansas City is known as 1 of the 4 crown jewels of jazz in the United States & continues to be a hotbed of talent for this American Art form? Did you know that Kansas City even has its own style of the music form named after it? Learn about jazz music – where it was born and where it grew up. Get to know the contributions dozens of musicians like Charlie Parker, Count Basie, Tommy Ruskin, Jay McShann and Bobby Watson helped to pave the way and give this city the reputation as a great place for some of the best jazz in this country. On Tuesday March 21, 2017, from 6-7:30pm, dive into the history of Charlie Parker and the Story of Kansas City Jazz. The class will be led by the KC Jazz ALIVE Speakers Bureau at UMKC! What better way to get “jazzed” about our upcoming Charlie Parker Celebration?! The class will be held at UMKC’s Atterbury Student Success Center, Room 236. Please bring $10.00 to class for handouts. This entry was posted in Awareness, Charlie Parker Celebration, Education. Bookmark the permalink.